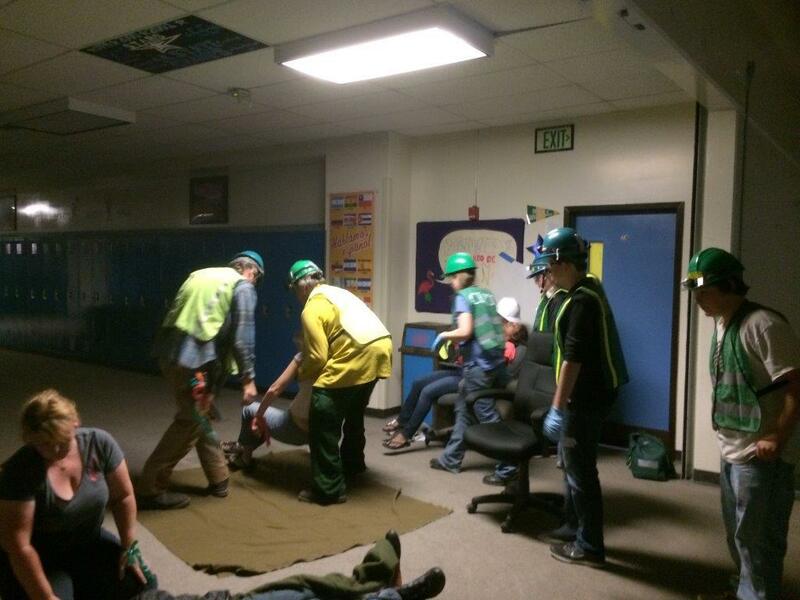 Volunteers participate in a training exercise for the Community Emergency Response Team. People across south central are still processing the magnitude 7.0 earthquake that shook the region for several minutes last month. For folks who work in emergency management, it was yet another test of how well their local programs provide a response to such events. Kenai Peninsula Borough Office of Emergency Management Director Dan Nelson says some training exercises they have coming up early next year can help the general public be as self-reliant as possible in those first minutes when even the pros are still assessing what’s happening. Those are the times when the borough’s Community Emergency Response Team training comes in. Things like fire suppression and utility control; knowing when to shut off the gas or the electricity and also some very basic disaster first aid. CERT training isn’t unique to the Kenai. Similar programs were put in place across the country after some particularly deadly earthquakes in California in the early 90’s. During those events, sometimes neighbors trying to help out created more problems because of a lack of basic training. Nelson says CERT members may be asked to help out at the borough in case of a large-scale emergency. The next CERT training opportunity is February 4th. The 30 hour class will be conducted over the course of two weeks with a live drill at the end. In March, the course will be held in Kenai with another planned for Homer in April. It's been a busy year for the Kenai Peninsula Borough’s Office of Emergency Management, from floods to tsunamis to earthquakes. On this week’s Kenai Conversation, OEM manager Dan Nelson talks about the borough's response to such events and upcoming opportunities for residents to become part of the response team.